Jurgen Klopp has refused to confirm nor deny whether he is close to filling the vacant Liverpool manager's chair. Goal understands the Reds have made a formal approach to the German and are closing in on their No.1 target, currently unattached after a successful seven-year spell with Borussia Dortmund. But questioned on a possible move to Merseyside on Tuesday, Klopp brushed aside reporters. "There's nothing to say," he told Bild when asked about the possibility of returning to management in the Premier League. "Neither a definite yes nor a definite no. I'm going home now." 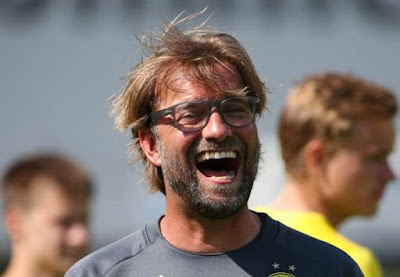 Reporters were unable to quiz Klopp further, as he laughed and walked off without passing further comment. Liverpool are primed to hold further talks with Klopp and hope to announce his appointment by the end of the week, with the 48-year-old set to be handed a three-year deal. The club's owners Fenway Sports Group (FSG) are keen to confirm their new manager as soon as possible, after Brendan Rodgers's tenure came to an end on Sunday following a 1-1 draw with Everton.